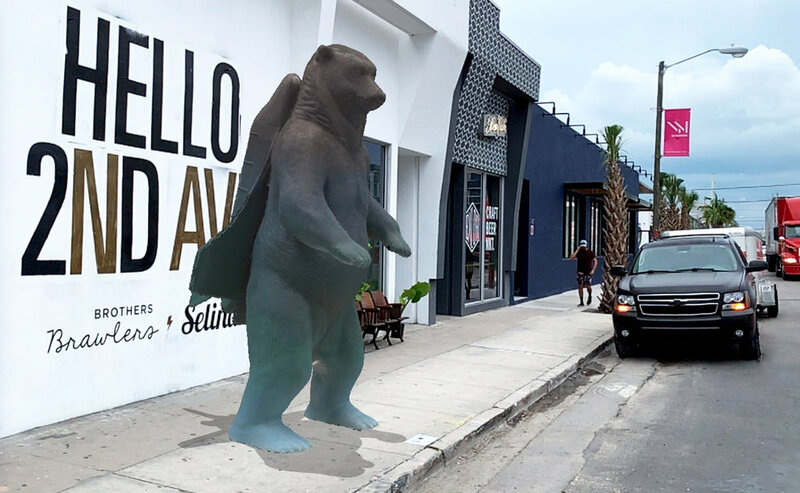 Volume three featured Ursa Major: an AR sculpture experience where the art simultaneously does and doesn’t exist. This piece challenges the viewer’s conception of what art is in the digital and physical worlds. By bringing this project into institutions like Art Basel, Scope Art Fair, and Wynwood Walls, Electric Coffin transcended the traditional power structures associated with physical and societal access. 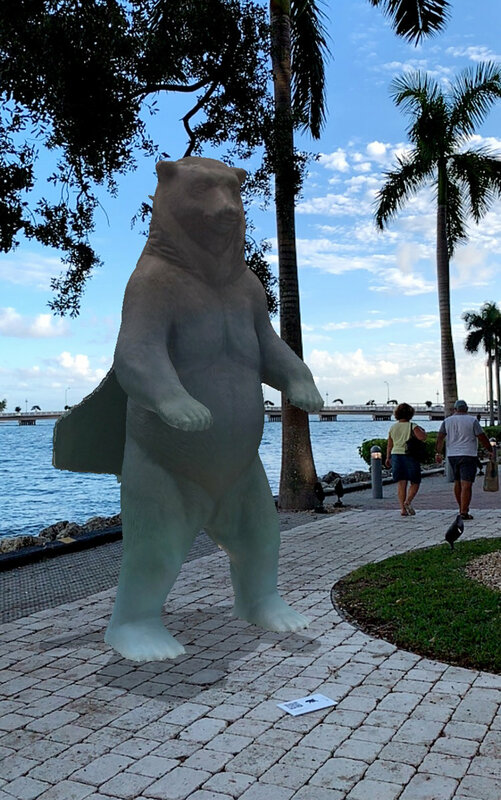 Plaques that unlock an augmented reality edition of the 10-foot-tall Ursa Major sculpture were installed around Miami. Project partner Omnivor developed the app and technology to access the virtual piece. You can download the Future Machine app here. Use the Ursa Major icon on Electric Coffin’s Instagram to unlock the sculpture yourself.